Yesterday a presentation jointly hosted by screwcap industry stakeholders on the benefits of their product. They were all there: the European Aluminium Foil Association, Guala Closures South Africa, the local subsidiary of the Italian-founded world leader in production plus Hulamin, SA’s only local aluminium manufacturer. The day marked the launch of the “Turn 360⁰” campaign (see Aluminium-closures.org) and we got told how screwcaps benefit taste by being perfectly neutral, provide design opportunities, offer convenience and contribute to sustainability (apparently 75% of all aluminium ever extracted is still in use thanks to re-cycling). Of interest was that there were 16.2 billion aluminium closures sold in 2013, of which 22% were used for wine. 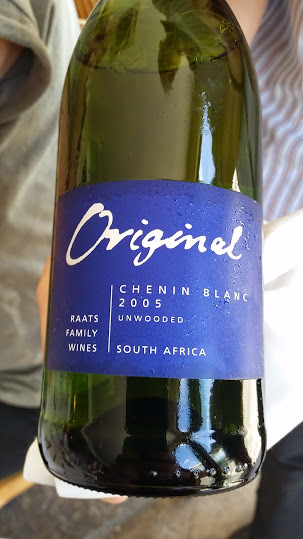 Perhaps the most compelling argument for screwcap on the day was a bottle of Raats Original Chenin Blanc 2005, which winemaker and fellow guest Bruwer Raats snuck in. Citrus, peach, some pleasant waxiness. Quite lean but still very primary with fresh acidity and long, savoury finish. It did seem that the screwcap had played a role in keeping this wine in good nick, although who’s to say for sure when there was no cork-closed comparison?